American Idol Season 6 winner Jordin Sparks performed at The U.S. 10K Classic in Atlanta over Labor Day weekend years ago. The race was organized by The U.S. 10K Classic and benefited local children's charities. Jordin performed at the finish line celebration of the 10K race. 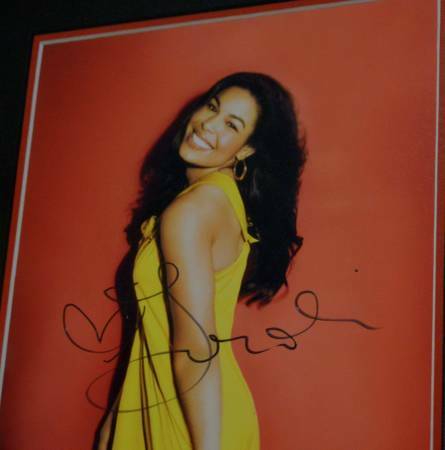 She signed a number of items, including some of her professional photographs. 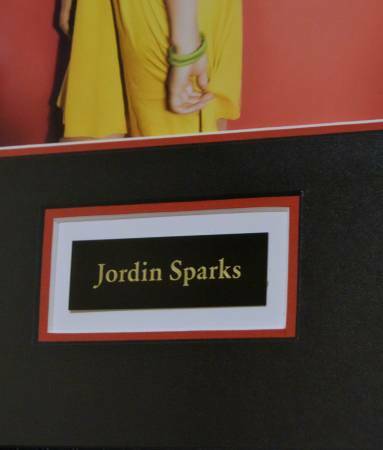 A friend of mine worked for the company that organized the event, and she was given this photograph and later asked Jordin Sparks to sign it. It was then framed. I am helping my friend sell it now. 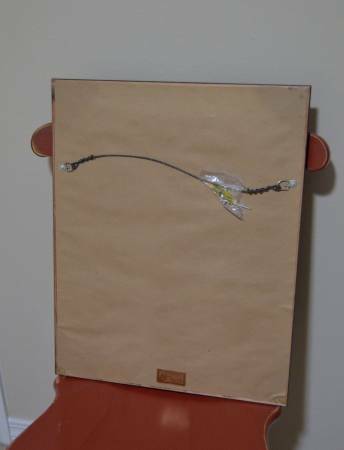 It is 100% authentic and in very good condition. 17" x 21". 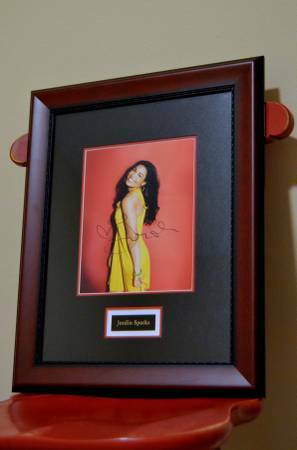 Very nicely framed, matted and comes with hanging hardware. See the photos for more details. Can meet in Daphne at Walmart or Target or in midtown Mobile.